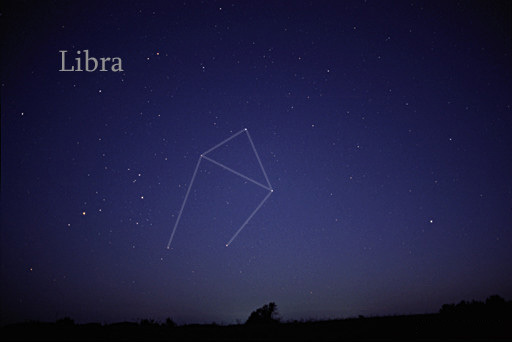 Libra is the only sign that is represented by an object (and not a human or an animal). The scales give Libras the ability to be impersonal when needed and to view the actual issues rather than to be concerned with who said what about the issues. On the other hand, this same ability may cause a lack of involvement and even selfishness. The high point of view in the middle, if developed, can give Libras the qualities of a true judge who weighs the evidence and remains unbiased. Like the other air signs, Libras have the ability to live mainly in their heads. On the bright side, this can be used to envision different possibilities and expand options; on the other side, this same ability can be used to intellectualize things to death and avoid meeting reality head on. In the middle, if developed, Libras can fathom ideas quickly and use the cardinal aspects they possess to devise ways to actualize these ideas. Each of the cardinal signs represents a “starting” point in the zodiac. Libra begins at the fall equinox, when the nights begin to be longer than the days, and people tend to withdraw inside to measure and take account of what has happened so far. You will find that Libras are very good at measuring things and can mostly give accurate estimations. Like other cardinal signs, they are good at starting things, taking initiatives, and taking charge as needed; on the down side, they do not always continue or finish the things they start and may sometimes take charge although there’s no need for that. Like other positive signs Libras prefer to take action, or at least suggest to others what action they should take. And don’t confuse the Venus charm Libras are famous for with “sweetness” or “amiability”; if you need to get Libras to do something, try to convince their logic rather than their niceness.